Extra protection when you need it most. Sometimes the unexpected can result in financial burdens that you are held responsible for & this is why you may want to consider a personal umbrella policy (PUP). A PUP can provide additional coverage in situations resulting in injury to someone else or damage to their property in cases where the damages exceed the limits on your homeowners or auto insurance policy. This can potentially help you protect your assets such as your home, savings, & future savings. 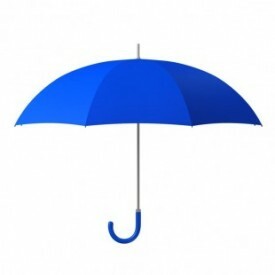 Umbrella policies typically offer at least 1 million dollars in liability protection in the case that you are faced with an unfortunate event such as a lawsuit. Your PUP should include enough protection for all your assets, including your home, valuables and earning capacity, too. As your agent I hope you will give me the privilege to help you determine the right amount of coverage for you. Medical costs, loss of income and funeral expenses of other people involved in an accident. False arrest, invasion of privacy, libel, slander, humiliation or defamation of another person’s character. Physical destruction of someone else’s property, including the resulting loss of its use. Bodily injury to or property damage of a tenant who resides in your rental property.